The safe disposal of confidential documents is important to all businesses, with a lot of companies often having a high turnover of paperwork. So, rather than trying to file away these mountains of paper in your office’s oversubscribed box files, choose Envirocraft. 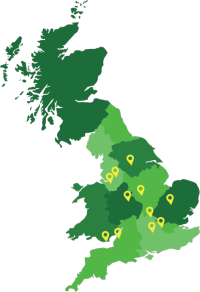 At Envirocraft, we carry out confidential shredding services from our rural base in the rolling countryside of Cheshire, though also provide a nationwide recycling service for confidential data thanks to our number of additional UK hubs and fleet of flexible transport vehicles. Our friendly, hardworking team place an extremely high importance on confidentiality, vetting all our partners to guarantee they operate to BS EN15713; the British standard for secure destruction of confidential material. We offer practical solutions including lockable containers or sacks for customers using the service, along with a flexible collection service on either an ad-hoc or regular, contractual basis. All paper documents are pulped and then recycled, finally being processed into toilet paper, making our solutions not only practical but also environmentally-friendly. Offering not only off-site confidential waste disposal, but also on-site shredding for documents that customers may wish to see destroyed first hand, our clients can have total peace of mind. As well as this, we are qualified to collect and destroy your IT and media data, whether it be discs, tapes or hard drives. We work for businesses of any size, with no project being too small or too large for our dedicated team, who bring a hardworking and friendly approach to every job. For total peace of mind in the secure destruction of your confidential paperwork, IT or media data, get in touch with our friendly team today and let us help the environment whilst helping you. We provide no-obligation, free quotes for all our customers, and are always happy to help.